So I’ve had the Chromebook Pixel (initial impressions) in my possession for just over three weeks now, an amount of time I’d consider to be quite substantial in terms of being able to put some final thoughts about it on paper. While my job is to review phones, tablets, apps, and their accompanying accessories for a living, this is a product that caused enough of a stir being made by Google and all, that I figured it was worth a look. With that said, I don’t typically review computers, so I’m actually going to keep this pretty short and sweet while putting together the whole thing from the Pixel itself. There won’t be a series of benchmarks or any of that ultra-technical jargon, just basic usability talk from my point of view. If you have read most of the early reviews, then I’ll just say right now that my opinions aren’t going to differ much. Let’s dive into it. 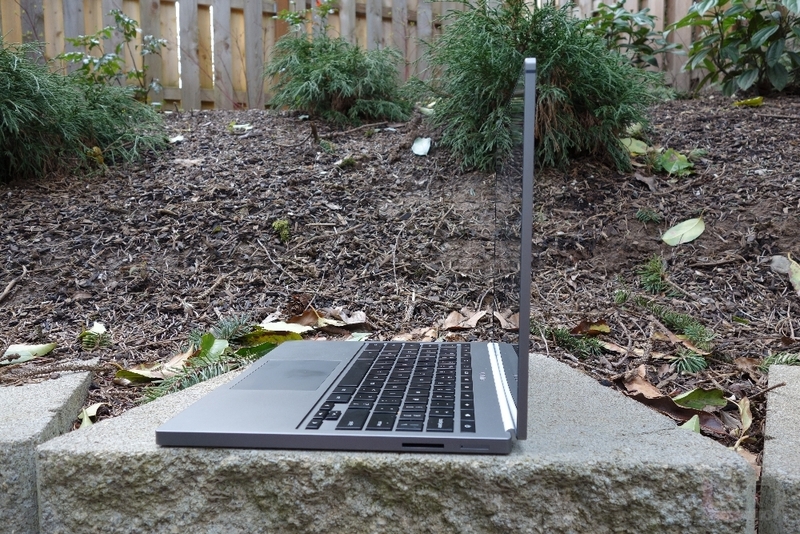 Google sent me the LTE version of the Chromebook Pixel to review. This model runs $1449, compared to the $1299 WiFi version, because it contains an LTE chip and double the solid state storage. Inside you’ll also find a 12.85″ 400 nit multi-touch display (2560×1700) with 178-degree viewing angles, backlit keyboard, etched-glass trackpad, HD webcam, two USB ports, mini-display port, 2-in-1 card reader, Intel Core i5 processor (dual-core 1.8GHz), 4GB RAM, 64 solid state hard drive (32GB in WiFi version), 59Wh battery, dual-band WiFi, Bluetooth 3.0, and a weight of 3.35lbs. 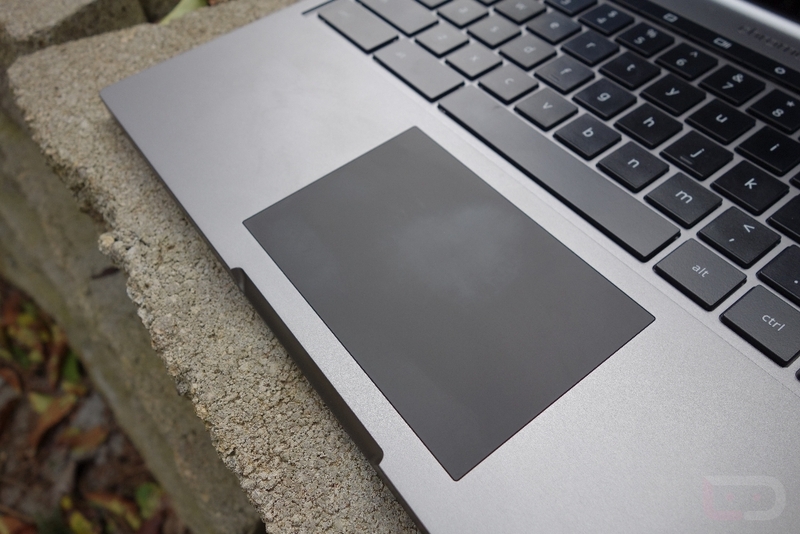 Design: The Chromebook Pixel is easily the best looking and overall best made Chromebook to date. Google was trying to take Chromebook design to the next level by using some of the highest quality materials available and completely succeeded. 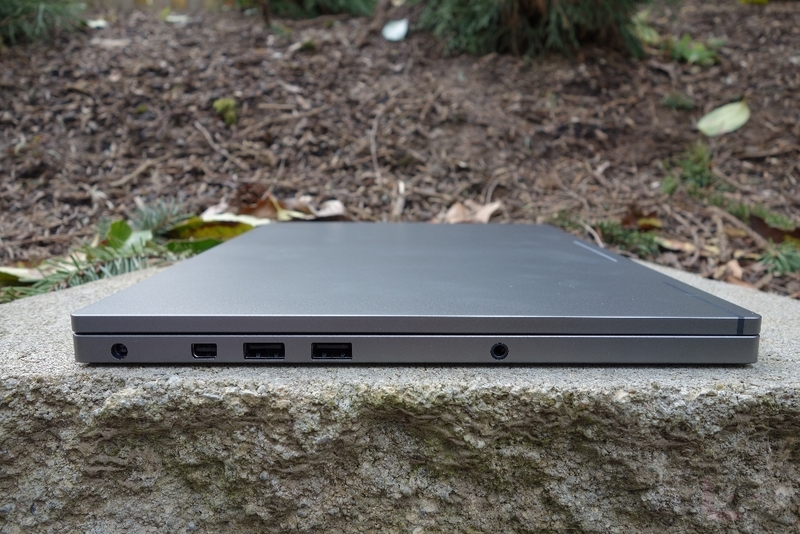 The all-aluminum exterior with its piano hinge are nothing short of beautiful for a laptop. While nothing in particular about the rectangular body will “wow” you from a distance, it most certainly will once it has been placed in your hand. The Pixel is the perfect weight – not too light, definitely not too heavy. The lid can be opened with a single finger, the lines couldn’t get any cleaner, and the subtle grey differences from the touchpad to the Chrome logos are tastefully on point. When you pick up the Pixel and carry it across the room, you know immediately that this product is premium. Display: The ridiculously high-resolution touch display on the Pixel is second to none. At 2560×1700 and with 239ppi, there are no better displays in the laptop business. Google swung for the fences and connected. The only problem I had with the display is that it’s almost too good. Browse around the internet for a few minutes and you quickly realize that the internet is not built for a pixel density this high. With that said, you can tell in a split second whether or not a photograph you just took is good or terrible. It’s completely unforgiving – and that’s not a bad thing in this situation. The only other minor issue I had, is with the display being touch-sensitive. While I’m all for having a touchscreen laptop, there are few uses for it at this time. Chrome OS isn’t built like Windows 8, that almost begs you to touch things. Google is likely hoping that this gives developers incentive to build out apps and add-ons that can utilize a beautiful touch display, but at this time, there isn’t much outside of Cut the Rope or Angry Birds that can take advantage of it. Sure, you can pinch-to-zoom (once enabled in Chrome flags) in browser, but how often have you ever wanted to do that anyway on your current laptop? On few occasions have I found myself touching the display on the Pixel, even when scrolling through a website. At this stage, it’s still quicker and more comfortable to do a two-finger swipe on the touchpad. Speakers: Holy speakers. Best speakers in the laptop business? I’d say so. The speakers are inserted under the keyboard so that they give off “clarity” and “deliver lifelike audio.” They deliver and then some. You’ll find yourself cranking the speakers up just because of the volume level shock value, but then settling into something towards the bottom of the volume bar, as that’s all you’ll need. Crank them up loud enough and you may even get a slight hand massage while you wrap up a work email or two. I’m not kidding – the speakers in the Pixel put all of that HP-Beats partnership marketing gimmick to shame. This is how you do portable sound in a computer. Touchpad: The Pixel’s touchpad is made of etched glass which has been “analyzed and honed using a laser microscope” to aid in smoothness and accuracy. I don’t claim to be some sort of touchpad expert, but it’s not bad nor has it blown me away. It’s definitely soft to the touch, feels great as you swipe across it, and is very accurate and responsive. The click on it, does drive me nuts, though. It’s way too loud for my liking. I like my touchpads to click, but so that only I know that I’ve clicked it. With the Pixel, when sitting near others, I found myself trying to soften the click as it otherwise came off as distracting. Overall, I actually prefer the touchpad in my Macbook Pro over the Pixel’s. Keyboard: The backlit chicklet-style keyboard on the Pixel is easily on-par if not better than that of my Macbook Pro. The keys don’t sit up quite as high as the Macbook, so I actually feel like I’m slightly faster at typing on the Pixel. The keybord is backlit, though the light is much more reserved than you would find on other laptops. It lights up, but won’t blind you or seem like the light is bleeding out from under the keys. Battery life: The 59Wh battery in the Pixel is rated at up to 5 hours, but I don’t necessarily know that I’ve ever squeezed that much out of it. While I don’t have exact numbers for you, I’ll just say that it has issues during sleep from what I can tell. The Pixel actually lacks any power management (at least I couldn’t find any) other than a slider to control brightness. It’ll constantly tell you how much life it thinks it has left, but I ran into issues after simply closing the lid and walking away for a couple of hours. Sure, it’ll wake almost immediately, however, leaving it idle with the lid closed and unplugged from the charger didn’t seem to actually put the device into a proper sleep which in turn meant the battery was eating away by the minute. I’d say that I averaged anywhere from 3-4 hours on a full charge with brightness about half-way up the slider. Not bad, not that great either. Everything you have heard about Chrome OS is probably true. It’s an operating system that is essentially…a browser. Over the last year or so, Google has tried to make it look and operate more like a traditional operating system with windows, an appbar, and notification tray, but in the end, it’s still a browser-based operating system. All that means is that Google wants you to use “apps” built for Chrome that open as new tabs in a Chrome browser. For example, I use Pixlr to do photo editing on the Pixel, but when I open it, there isn’t a new window or an app that loads, it just opens a new tab that then acts as an in-browser cloud photo editor. I also installed Weatherbug, which shows in my app drawer as if it were an app, but tapping on it simply opens a new tab and a fancy Weatherbug UI (in the browser). It’s still technically an app, just not like you are used to. 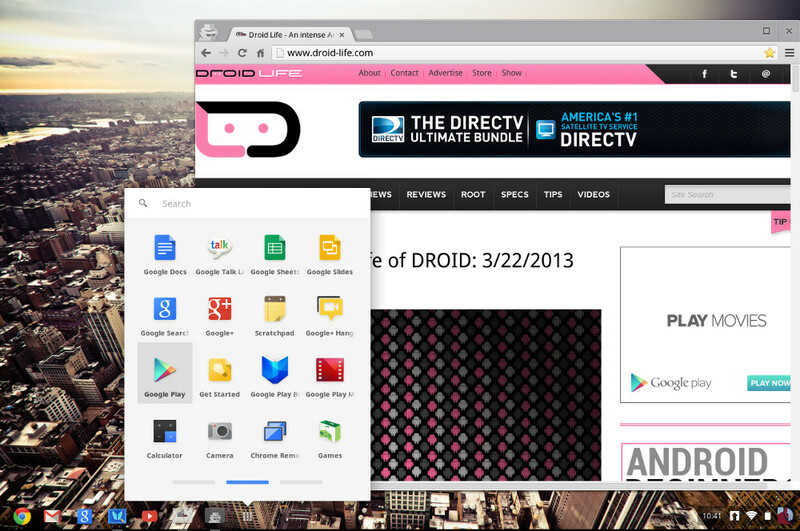 These aren’t really stand-alone apps as they are add-ons to the Chrome browser (if that makes sense). So with apps that load within a browser, there are limitations. As another example, I can’t control my in-home Sonos system on the Pixel because there is no Sonos Chrome app. I cannot plug my Nike Fuelband in and have it sync, as Nike has yet (and likely never will if Android is any indicator) to build a sync function or app for Chrome. Video editing is also non-existent unless you use something like WeVideo which is a cloud-based video editor that first asks you to upload the video before you can actually do anything with it. If you use chat or IRC clients, they open as new tabs, not as an app in the traditional sense. It’s a lot like Android was in the beginning when everyone complained about a lack of apps. But taking that step further, I would almost argue that it’s worse and may never get better. Take Dropbox and Box as examples. Why would either build out a special app for Chrome, when all it wants to do is open them in the browser anyway? They already have web clients that they have spent countless hours on. And not that Dropbox or Box have bad web experiences, but when you run through the Chrome appstore, find Dropbox, hit the “install” button, you want the satisfaction of knowing that you actually got something for your efforts. In reality, you got nothing but a shortcut installed in your app drawer that opens Dropbox in a new tab. And it’s like this for many apps. Why not just utilize the good ol’ fashioned bookmark bar? It’s quicker. Chrome OS does have a file manager of sorts, but it’s as bare-bones as it gets. It connects to your Google Drive account and also shows the few files that it wants you to actually store on the computer. You’ll also find stand-alone calculator, camera, and scratchpad apps. As a browser, though, it’s awesome. It’s Chrome, just like on your current computer. It’s incredibly fast. And if you login with your Google account, it syncs bookmarks, passwords, and anything else that you have running through your other Chrome browsers from phone to PC to laptop to tablet. It’ll even pull in your extensions to make the entire experience seamless. If you want to move to a Chromebook you have to be ready to fully commit to the cloud. Even the LTE model only has a 64GB solid state drive inside. That’s nothing when you consider that most laptops these days come with at least a 256GB solid state drive or a traditional hard drive with a minimum 500GB of storage. Google wants you to forget those days, though, and instead save everything in Chrome apps to the web. When you purchase a Pixel they hand you 1TB of Google Drive storage for a 3-year period as a gesture to move you towards the cloud. This should easily cover your photo dumps, video storage needs, and document backlog. You just have to get used to the idea of not having it with you at all times unless you use a service that allows for offline editing or plan to be connected to the internet 24-7. For someone like me, who considers themselves to be somewhat of a power user, the Chromebook Pixel would never work on a full-time basis. With that said, if my life could live 100% in a browser, it would probably be a fabulous device. 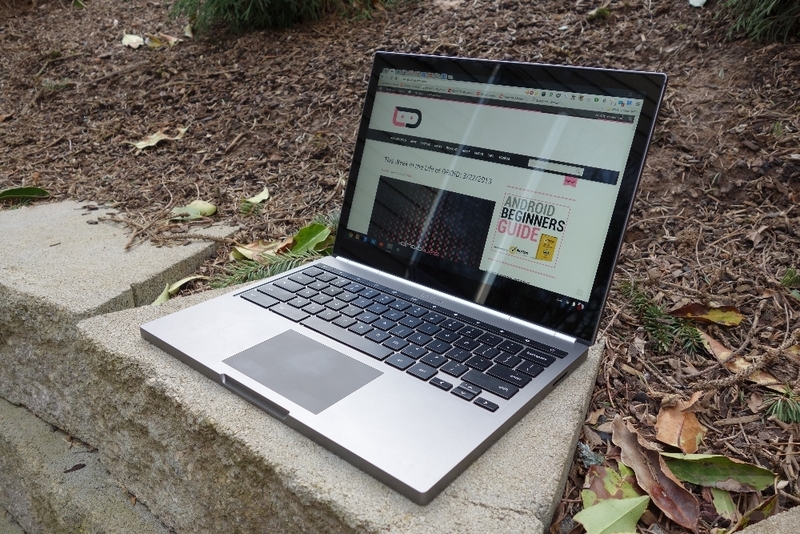 The size is just right for a portable computer, the specs are the best we’ve seen from a Chromebook to date, and in some ways beat even the best traditional laptops on the planet. The display is amazing, the style of the device is clean yet industrial, the speakers have blown me away, there is enough power under the hood to handle a workload, and the keyboard ranks with the best of them. With that said, if you want traditional apps that aren’t just shortcuts to websites, long battery life, or a reasonable price, this probably isn’t for you either. Great job on the hardware, Google. Unfortunately, Chrome OS is still Chrome OS.